Can I get SSDI Disability for Osteoarthritis? 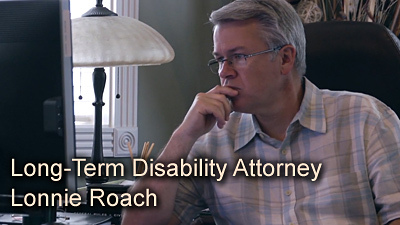 with an experienced Long Term Disability lawyer at your side. 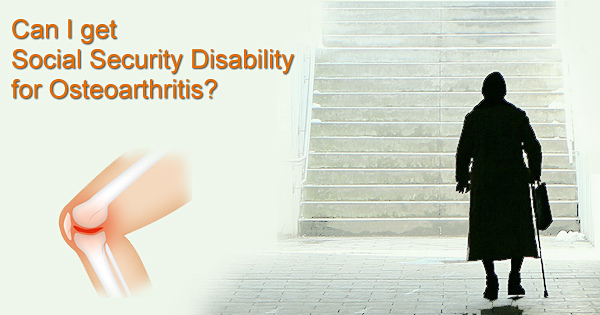 Can I get Social Security Disability for Osteoarthritis? If you are suffering from osteoarthritis you may be wondering if you can get financial assistance from the SSA. The Social Security Administration recognizes osteoarthritis as an impairment in its section under disorders of the musculoskeletal system so you may qualify for disability depending on a few factors. The Social Security Administration recognizes osteoarthritis as an impairment so you may qualify for disability depending on a few factors. 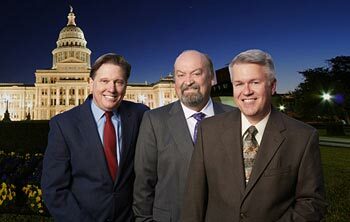 Call 512-454-4000 for experienced help today! Arthritis is a condition characterized by inflammation of the joints. Osteoarthritis, also called OA, is a degenerative joint condition that occurs when cartilage breaks down in the joints and can affect any joint in the body. Cartilage is a fibrous connective tissue that covers the ends of bones in normal joints reducing friction and allowing joints to move smoothly. Osteoarthritis most often occurs in weight bearing joints such as the knees, hips, and spine, but may also affect fingers, toes, and the neck. Unlike other forms of arthritis such as rheumatoid arthritis and systemic lupus, osteoarthritis does not affect other organs of the body. It may however affect other joints if a previous injury or excess stress is involved. Osteoarthritis causes cartilage in a joint to lose elasticity and become stiff. The cartilage may wear away over time, decreasing its ability to cushion a joint and making it prone to damage. When cartilage breaks down, tendons and ligaments stretch, causing pain and discomfort. In severe cases, loss of cartilage causes friction between bones and can result in pain at rest or during limited motion. Contact a Social Security disability attorney at 512-454-4000 for a free consultation and see if you can get disability benefits while suffering from Osteoarthritis. If you have been denied disability don’t give up! Aging is a primary cause of osteoarthritis, but OA can also affect young adults who often develop the condition because of trauma or a sports injury. Common injuries that lead to OA are dislocated joint, torn cartilage, and ligament injuries, particularly anterior cruciate ligament (ACL) strains and tears. People who perform certain activities at work for several hours each day such as kneeling, squatting and climbing stairs, are at risk of developing occupation-related osteoarthritis affecting the knees, hips and hands. Secondary osteoarthritis is caused by another disease or condition such as obesity, surgery to the joint structures, congenital abnormalities (abnormal joints at birth), diabetes, gout, and rheumatoid arthritis. More women than men develop OA. The most common symptoms of osteoarthritis are pain and swelling in affected joints usually after repetitive use, but can also occur after long periods of inactivity; for example, sitting at a desk or in a theater. It may be difficult to walk, climb stairs and get in and out of chairs or bathtubs. Osteoarthritis can limit moving and bending, making daily activities such as dressing a challenge. Osteoarthritis of the spine may result in in weakness, tingling, or numbness of the arms and legs. The severity of symptoms varies. While one person may be debilitated, others may experience few symptoms despite severe joint degeneration. Symptoms can also be intermittent with years of pain-free intervals. Osteoarthritis is treated by managing pain, improving joint function and maintaining body weight. Treatment approaches include exercise, over-the-counter medications to control pain, nondrug pain relief techniques and alternative therapies such as massage, acupuncture and nutritional supplements, and surgery. “Disorders of the musculoskeletal system may result from hereditary, congenital, or acquired pathologic processes. Impairments may result from infectious, inflammatory, or degenerative processes, traumatic or developmental events, or neoplastic, vascular, or toxic/metabolic diseases. B. Involvement of one major peripheral joint in each upper extremity (i.e., shoulder, elbow, or wrist-hand), resulting in inability to perform fine and gross movements effectively, as defined in 1.00B2c. In order to qualify for Social Security Disability, you will need to satisfy a few specific requirements in two categories as determined by the Social Security Administration. The first category is the Work Requirements which has two tests. The Duration of Work test. 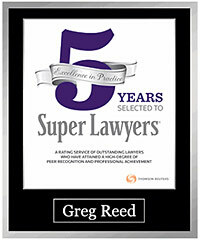 Whether you have worked long enough to be covered under SSDI. The Current Work Test. Whether you worked recently enough for the work to actually count toward coverage. The second category is the Medical Eligibility Requirement. Are you working? Your disability must be “total”. Is your medical condition severe? Your disability must be “severe” enough to interfere with your ability to perform basic work-related activities, such as walking, sitting, and remembering. Is your medical condition on the List of Impairments? The SSA has a “List of Impairments” that automatically qualify as “severe” disabilities. Lyme Disease is not listed but this does not mean you cannot get disability, it means you must prove you cannot maintain employment due to your limitations. Can you do the work you did before? SSDI rules look at whether your medical condition prevents you from doing the work you did prior to developing the condition. Can you do any other type of work? If you cannot do your prior work, an evaluation is made as to whether you can perform any other kind of work. More details can be found on our Qualifying for Disability page. If you have been diagnosed with osteoarthritis and it has impacted your ability to work, you may qualify for Social Security Disability benefits. Most applicants are denied initially and you may want to hire an attorney experienced in disability law to help you navigate the often confusing and lengthy process. Proper representation can assist you in avoiding the common pitfalls that may lead to the delay or rejection of your claim. Disability benefits are an important source of income for those who are unable to work. If you not able to work due to injury or illness, you may be eligible for Social Security Disability or Long Term Disability benefits. If you have applied for benefits and been denied, contact the attorneys at Bemis, Roach and Reed for a free consultation. Call 512-454-4000 and get help NOW. Does Hip Replacement qualify for Disability?